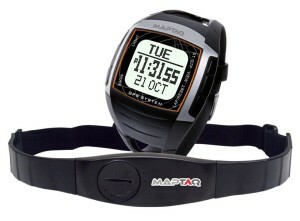 Heart Monitor are great for gauging how much effort you are using in your workout. Although you may feel that you are doing vigorous exercise with out a heart rate monitor, you may not be able to monitor yourself safely to know whether your are over exerting yourself or exercising as effective as possible. Working out too much and too hard is not a good idea, You may thing the harder you work out, the faster your results. but this is not true in all cases. You want monitor your heart because its recommended to reach a specific target heart rate when working out at particular intensity levels. A heart rate monitor is a great investment to help you make sure you are doing your exercises at the optimal level. There are dozens of new products that are coming on the market every year promising effective heart rate monitoring. How do you know what is really going work well for your needs? There are some many options, so it may be difficult to know what are the best products for you. The principle of how a heart rate monitor works is pretty similar for all heart rate monitors. They all provide immediate feedback on how hard your working out, some of them are more accurate than others. You can make adjustments to some HRM to get better result and to gain the greatest benefits from your exercise routines. WithHRM monitors you will see what heart rate zone your in and you will be able to adjust your workout regime to achieve your target heart rate zone. According to the CDC or the Center for Disease Control, to exercise at a moderate intensity you want to be a 50-70% of your normal heart rate. If you want to exercise at an intensive rate , 70 percent to 85 percent of his or her maximum heart rate would suffice. 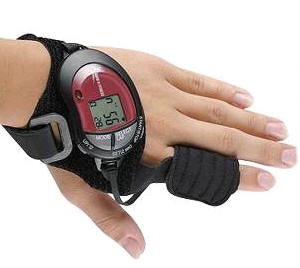 Heart Rate Monitors have many features that can be helpful during your work out. Most models will give you an average heart rate. This includes the high and low of your target heart rate reached during physical activity. There are basic models that offer 3 target zones. Advance models can have three to six target zones.Within the ability to target different zone, you can adjust the types of workouts, such as; endurance, strength or aerobic. Sport countdown watch. You may want model that offers you countdown timer feature.Stopwatch and time/lap: This will help you track your miles and laps with marked distance. Time in heart rate zone: Tracks the time you spend excercising within a target zone. Heart Rate Recovery Mode: Getting your recovery heart rate can be helpful as well. This features tracks the time for you heart to return to return to a normal zone. This will give you insight to the level of cardiovascular fitness, especially when you are doing interval or sprint training. Calorie Counting: This features estimates the amount of calories you burn during your workout. This is helpful within weight loss programs. Monitor Your Speed and Distance: This calculates the speed and distance that covered within a workout. These usually is a little expensive as it typically done with a GPS server for outdoor usage, as well as as food pod. Connect to your PC: If your are tracking and want to store your data for download many HRM allow you upload that data through UBS or wirelessly so that you keep on another device.